Film ma Jyare ‘Numberiya’ Padya tyare Font na combination thi j film interesting hashe aevu laagyu ane aema pan jyaare Paresh Rawal ni entry GJ-27 number platevaali car ma padi aetle confirm thai gayu ke Bija koi state ma chaale ke na chaale , Gujarat maa (ane khas to Amdavad ma) ‘Dharam Sankat Mein’ Film dod-vani!! Pre Interval I really enjoyed the film.. Ketlay scene ma sitio padi chhhe ane ketlay scene ma entire public khad-khadaat hasi chhe . but post interval thodi slow & boring laagi. Being an Amdavadi I completely enjoyed the film because hu easily location ane language sathe relate kari shaki. Dharmik hoy ke Non-Dharmik – anyone can watch this film with family. Stereotypes chhe but I’m sure you will enjoy one liners . 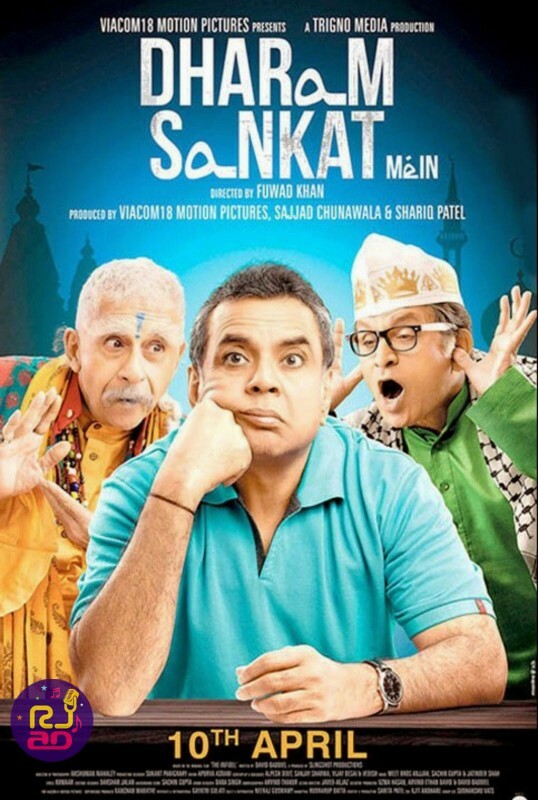 One time watch for Paresh Rawal. Aa movie amdavad ma shoot thayu???? ગુજરાતીમાં કેમ અહી નથી લખતી..